1. Saffron – This is an ingredient which I am a big fan of, because it can magically turn a plain boring plate of rice to look royal and majestic. 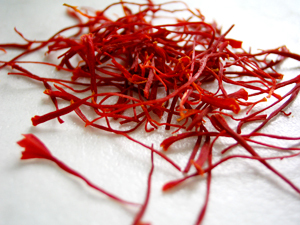 Persian’s love to use saffron in abundance in most of their dishes. So if you intend to make a delicious Persian meal at home, better stock your shelf up with these beautiful strands. Saffron is also used very often in tea or chai in India and Middle east. 2. 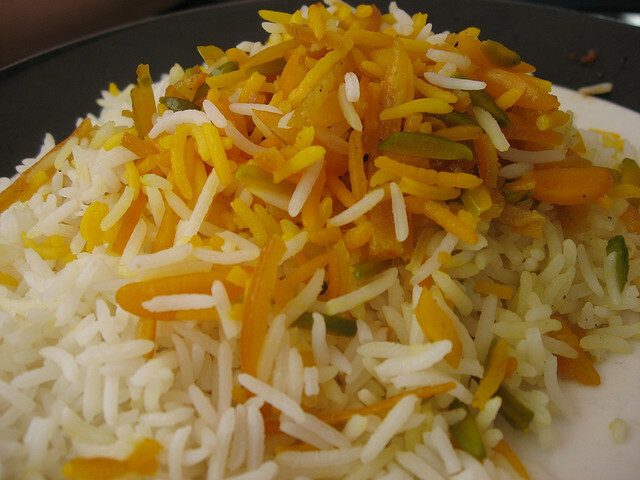 Rice – Persian meals are never complete without a plate full (or bowl) of thin grained, saffron infused steaming rice. But this is not the regular rice we boil at home, they make their rice with a lot of love and care. They first boil the rice, drain the excess water and then prepare a pan with oil, saffron and even yoghurt and then add the rice to it and let it steam in extremely low heat for about 40 minutes. Yes m’dear that is how much effort they put behind rice – Phew! 3. 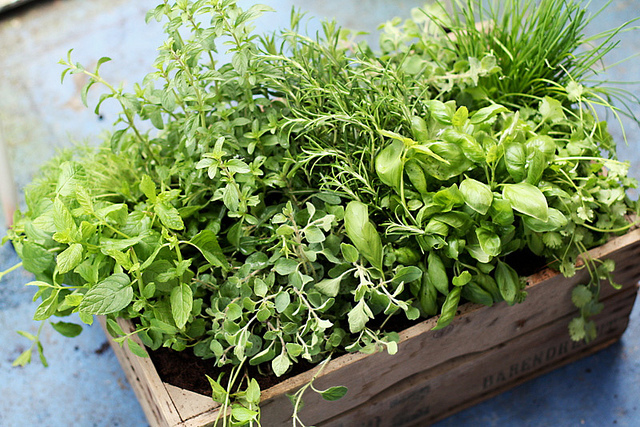 Herbs – Just like the Indians and Italians even the Persians love herbs, I mean it’s hard not to. They tend to use a lot of Coriander (My favourite), Parsley, Chive, Fenugreek, Mint and the most special one – Dill. The last one is very unique to this cuisine but you might just find it in one of those exquisite super markets, my bet is whole foods! 4. 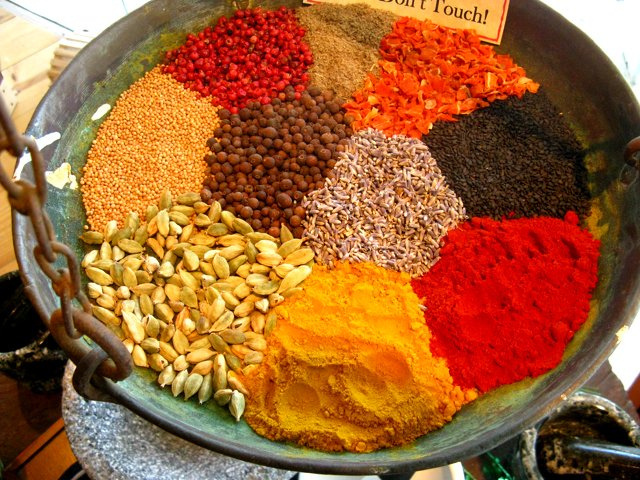 Advieh – It’s not some random ingredient, Persians use this rather exotic term to describe spices. I was impressed with myself when I realised I have most of the spices they use at home. Advieh is extremely similar to Garam Masala, so compositions vary but the basic spices are the same. The most common composition is – Corriander seeds, Fenugreek seeds, Ginger and Turmeric. The other one which is more similar to Garam Masala is – Cumin, Nutmeg and Cinnamon. 5. Dried Lime – Fresh lime has a very tangy and refreshing taste to it but dried lime can create magic too. It is used very often in Khoresh, which is a type of casserole dish with meat to balance the smell and taste of meat. You must be wondering how did I suddenly become an expert in Persian cuisine? Ah I happened to speak to this wonderful lady Jila Dala -Haeri, who just wrote a new cook book called – From a Persian Kitchen. 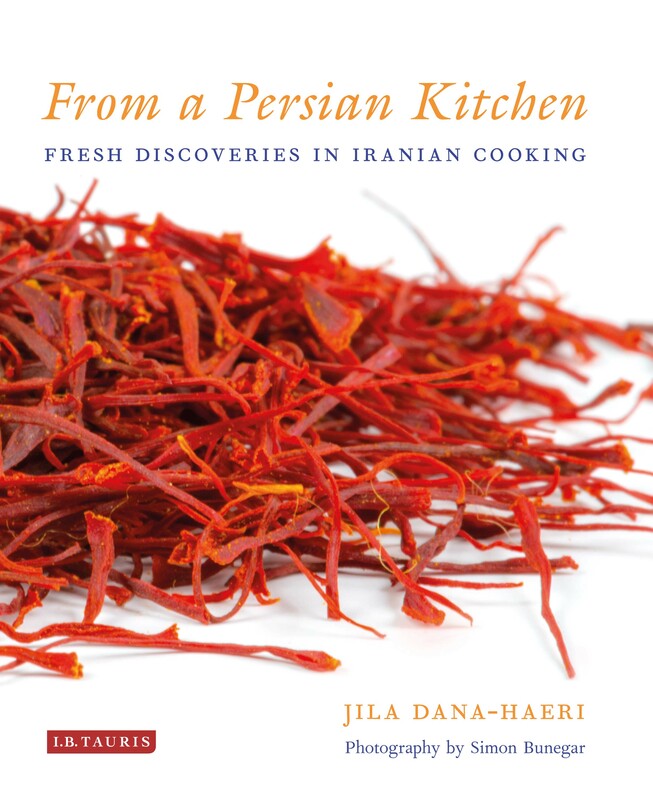 She will be talking in details about Iranian and Persian cuisine and her book at Asia House on Friday, 14 November along with some light snacks from a Persian bakery! 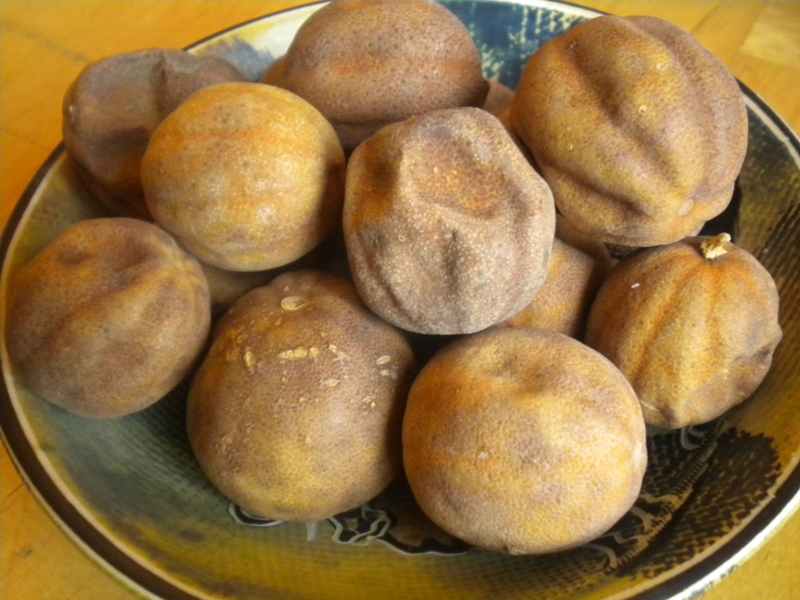 Khoreshts are an essential element of Persian cuisine. The nearest equivalent in the West would be a casserole, a rich dish with plenty of sauce. Khoreshts may be made from meat, chicken or fish combined with vegetables, herbs, fruits or pulses. A khoresht is always served with plain rice (chelo); neither dish is secondary or subservient to the other. Serve a couple of large spoonfuls of rice with one large spoonful of khoresht; eat the rice and khoresht together. The following recipe is a variation on one of the most popular khoreshes cooked all over Iran. The combination of saffron, sour grapes and cherry tomatoes with aubergine adds layers of aroma and flavour to the plain chicken.I used fresh sour grapes but you can also use the pickled unripe grapes available from Middle Eastern or Persian food stores. I prefer chicken thighs to breast as they are more flavoursome and easier to cook; you can use breast if you prefer. This dish takes approximately 1 ¼ hour to 1 ½ hour to prepare and cook. Peel the aubergines and cut each lengthwise to three slices. Wash and put them in a colander, sprinkle I teaspoon salt and leave them to stand for about 15 minutes. Peel and finely chop the onion. Wash the chicken high fillets and trim any extra fat. Wash and dry the cherry tomatoes. In a medium size heavy based sauce pan heat 3 table spoon of vegetable oil and fry the onions until golden. Add ½ a teaspoon of turmeric, stir and then add the chicken fillets, salt, pepper and the rest of turmeric. Stir well and fry for about 8-10 minutes, until the chicken pieces are golden and sealed. Add the chopped tomatoes, tomato puree, and the stock, stir well, bring to boil and then reduce the heat. Cover the pan and simmer for 40 – 45 minutes. The sauce should be reduced by now to half. While the chicken is cooking, fry the aubergines. In a frying pan, preferably non-stick, heat 50 ml vegetable oil and fry the aubergine slices until golden. Aubergine absorbs a lot of oil, so add more if necessary. Remove the slices with a slotted spoon and pat dry on kitchen paper to remove excess oil. In the same frying pan, fry the cherry tomatoes in a table spoon of oil for a couple of minute. Remove from heat. Return the aubergine slices to the frying pan, sprinkle1 table spoon of liquid saffron and a table spoon of lemon juice over the aubergine slices and cherry tomatoes and set aside. When the chicken is cooked, carefully arrange the aubergine slices and then the cherry tomatoes in the sauce pan on top of the chicken. Reduce the heat to low, add the sour grapes, the rest of the saffron and lemon juice, salt and pepper to taste. Allow to simmer very gently for about 10 15 minutes. Make sure that the sauce mix is not boiling vigorously because the aubergine and tomatoes will disintegrate. Serve in a shallow bowl, carefully arranging the aubergine and cherry tomatoes on top of the chicken pieces.